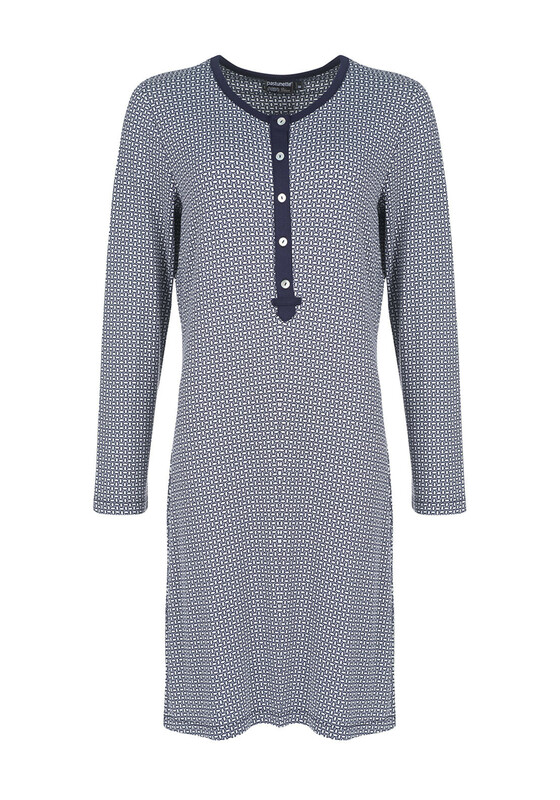 Drift off to a great night’s sleep thanks to this charming nightdress from Pastunette which is made from soft jersey fabric which will deliver excellent comfort. Designed with long sleeves and a knee length. Features include an all over oval print, half button placket and chest pocket.